Global Civil and Mining conducted a uranium mining trial on Nova Energy’s mining lease located near Wiluna, Western Australia. 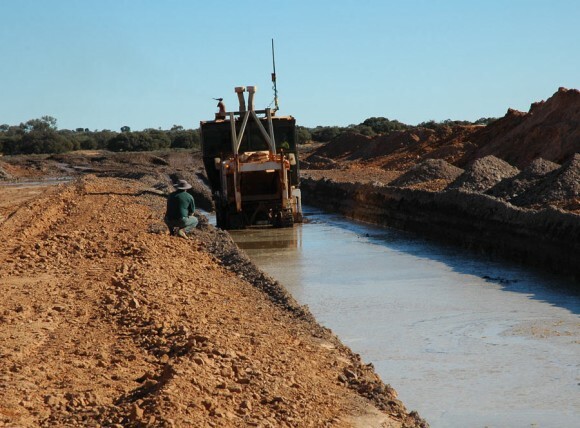 For the duration of the trial the cutting speed of the surface miner averaged 13 metres per minute, giving a production rate of approximately 550 tonnes per hour. After mining down approximately 1 metre, the surface miner encountered the top of the water table. The surface miner continued mining within the water table with no effect on production rates. 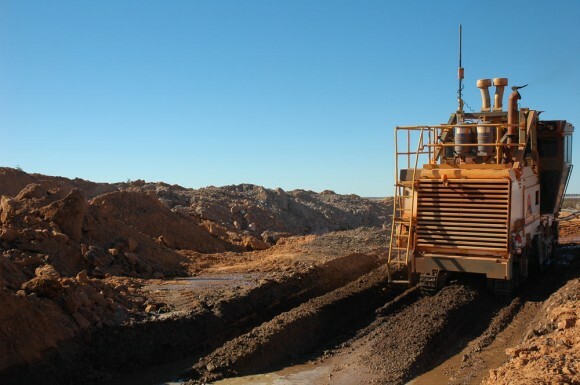 Prior to starting the trial, a prototype gamma radiation detector (commissioned by Nova Energy) was fitted to the surface miner to assess the quality of the ore as it was being mined. This proved to be a great innovation.